When you become a parent, your focus is always on the health of your child. From the time your baby develops teeth, you begin to teach them about oral health and quality cleaning habits. Over time, your child begins to brush and floss their teeth on their own. You rely on your child to do their very best, but they can easily begin to slack, especially during their teenage years. Even once your kids are teens, it is important to continue to speak to them about oral care, providing tips here and there to ensure a bright, white smile. Your teen needs to be brushing their teeth twice a day along with flossing. A fluoride toothpaste needs to be used to remove plaque build-up on the teeth. Teach your teen that as plaque builds up on the teeth, it can create gum disease and tooth decay. Flossing is also important as it removes plaque from the gumline as well as from in-between teeth. Teens need to limit their intake of sugary and starchy foods, particularly snacks that are sticky. The sugar can stick to the teeth and cause a build-up which can lead to tooth decay. Provide healthy snacks to your teens and teach them how their food choices affect their teeth as well as overall health. It is also important to schedule regular dental visits, so your teen can have their teeth cleaned every six months. Find a dentist that your teen can relate to, helping them to look forward to appointments rather than dreading them. It is during the teenage years that special dental needs may arise. During the pre-teen and teenage years, the teeth can begin to crowd or shift. Orthodontics may come in to play and this is something you should speak to your teen about. Talk about how braces can be used to fix crooked or crowded teeth, so in the future, their smile will be straight. If your teen ends up with crowded teeth or a crooked issue, an evaluation by an orthodontist will help to determine if braces can help and if so, what type should be used. Oral piercing should also be avoided. If your child has started asking for an oral piercing, teach them more about how such a piercing can cause complications, including an infection in the mouth or nerve damage. Any metal jewelry in the mouth can crack or chip teeth, even damaging the gums. By talking to a dentist about an oral piercing, teens can see how the piercing will affect mouth health. 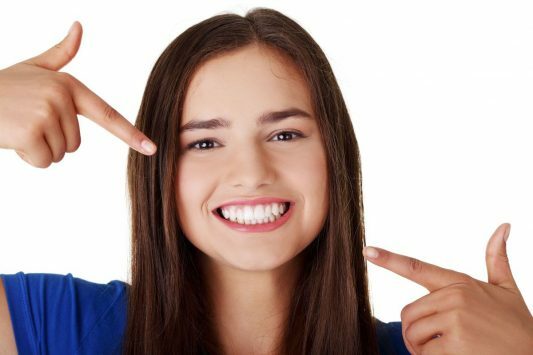 As a teen, many kids want to have a whiter smile. There are whitening tools that can be used such as toothpaste or professional methods that will brighten your teen’s smile. Have your child ask questions about teeth whitening and what can be done to help brighten teeth. Eating or drinking habits may need to change as well as a whitening toothpaste or treatment provided by the dentist. Contact us today to learn more about teen oral health and schedule an appointment for cleaning and evaluation.